"Someone has to write the truth with all these lies…" An official French trailer has debuted for a WWII film titled Alone in Berlin, which premiered at the Berlin Film Festival this year. Brendan Gleeson stars as Otto Quangel in this true story about a husband and wife who planted anti-Nazi notes around Berlin as a form of resistance and retaliation against the evil in the country at the time. In Germany, the film is titled Jeder stirbt für sich allein - which translates to Everyone Dies Alone. Much sadder title, but also fitting for this story. The cast includes Emma Thompson, Daniel Brühl, Mikael Persbrandt and Katharina Schüttler. I saw this in Berlin, and as much as I love the story, the filmmaking (including English dialogue) really detracted from the film - read my full review. I still recommend giving it a look for the idea behind it. Berlin, 1940. Working class couple Otto and Anna Quangel receive the news that their only son has lost his life in the battlefield and decide to resist the Nazi regime in their very own way. Soon the Gestapo is hunting "the threat". 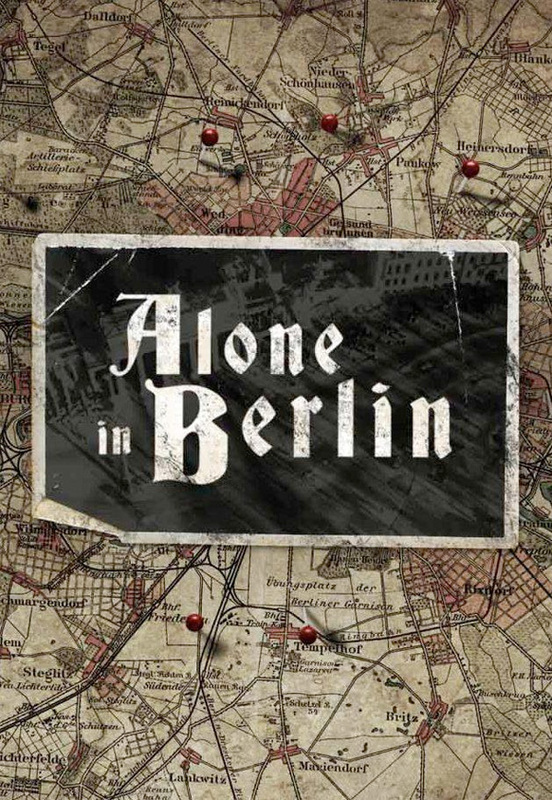 Alone in Berlin, also known as Jeder stirbt für sich allein, is directed by Swiss actor-turned-filmmaker Vincent Perez, director of the films The Secret and Once Upon an Angel previously. The screenplay is written by Achim von Borrie & Bettine von Borries with Vincent Perez; based on the novel by Hans Fallada titled "Every Man Dies Alone". This first premiered at the Berlin Film Festival earlier this year to a mediocre response - read my review. I wrote that "if only they could've captured the spirit of this in a more inspiring and impressive way, but alas…" No US release has been set, stay tuned for news. Interested? Seems good enough. Gleeson never really turns in a bad performance.